The History Scotland Lectures are the Centre for Scottish Culture’s flagship public engagement platform. Established in April 2018 in collaboration with History Scotland, the world’s leading Scottish history magazine, the Lectures are held twice yearly. They are hosted both in Dundee itself and in locations around the country. Free and open to all, the Lectures offer members of the public an opportunity to hear from leading academics and to engage with cutting-edge thinking about Scottish History. The History Scotland Lectures are set to develop into Scotland’s premier series of historical talks and one of the country’s most important and dynamic fora for public history. 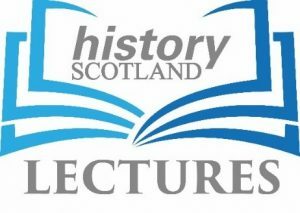 The History Scotland Lectures are organised by the Centre’s steering-committee member, Dr Allan Kennedy, who is also Consultant Editor of History Scotland. Inquiries about the Lectures, or about History Scotland, can be addressed to him at a.y.kennedy@dundee.ac.uk. On this page you will find information about upcoming instalments of the History Scotland Lectures, as well as our video archive of past events. LECTURE 2: Coastal History in Scotland. Highland Archive and Registration Centre, Inverness, 30 August 2018. LECTURE 1: Who were the Jacobites and what did they want for Scotland?